Even though older adults might still carry a negative association with video game consoles and devices, today’s technology is vastly different than it was 20 years ago. Apps have exploded on the scene, and while there are plenty of time wasting games available on the market, today’s offerings also include a wide range of affordable apps that enrich learning and allow for quick on-the-go play. Whether your child is waiting for the doctor or relaxing on a long car ride, the following apps are some of the best games that pack an educational punch. 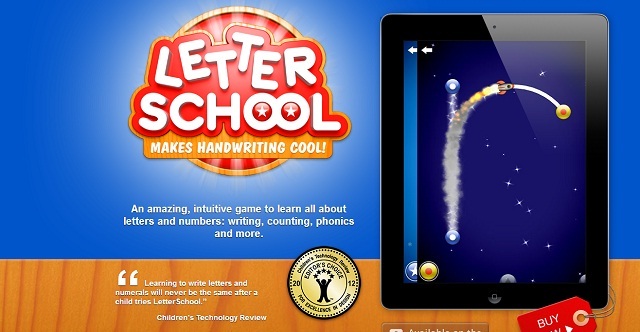 The Letter School app won the Editor’s choice for Children’s Technology Review for 2012. It is available on iOS devices and uses three simple components for learning letters; tap, trace, and write. In the first mode, children tap on the end of the letter and watch the app draw the letter. Then they use their own finger to trace the letter. The app uses cute graphics like railroad tracks to make tracing fun. Finally, the child writes the letter himself, with guidance from the app in the event he goes off course. The app offers uppercase letters, lowercase, and numbers too. 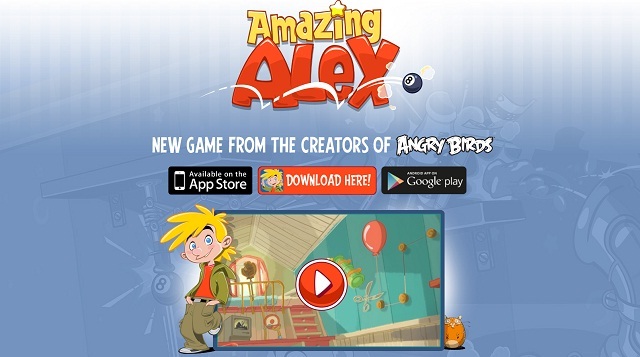 From the makers of Angry Birds comes Amazing Alex. He is a boy who cleans his room in the most interesting ways. Children will not even know they are learning the principles of physics as they manipulate different objects in the room to get it clean. The graphics are stunning and the gameplay is intuitive and addicting. Amazing Alex has over 100 levels and is available for both the iPhone and Android. If your child likes puzzle games and math, Awesum is a fantastic combination of Tetris and Sudoki. Numbered cubes fall from the top of the screen and children must match the numbers so that it equals a predetermined sum. When they line up, the cubes disappear and keep the wall from filling the screen. This app is available for Android phones and tablets. Using color graphics, sound effects, and awards, this app teaches mental math skills without pain and suffering. 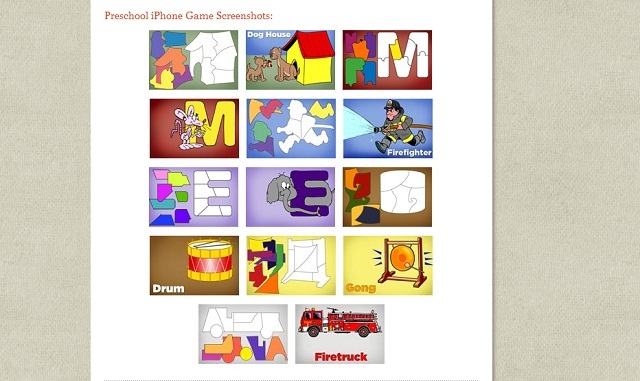 In 2011, Awesum won awards for the best children’s educational app. Traveling explorers and geographers will love the Barefoot World Atlas app available for iOS devices. It is a higher priced app at $4.99 but takes kids on an interactive and magical tour of the planet. Kids can explore continents, countries, environments, and oceans. With a tap of the finger, children can explore new cultures and learn about different ways of life. 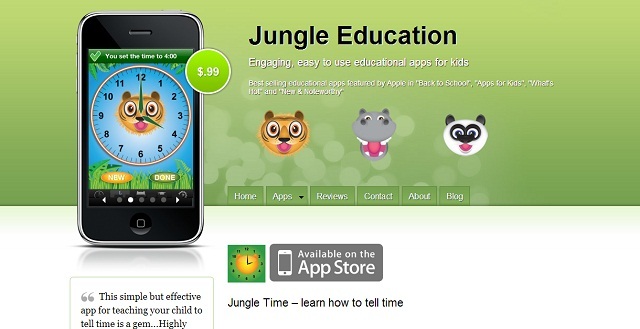 For parents looking to teach children how to tell time, Jungle Time was featured in Parenting magazine as one of the 10 best educational apps for kids. The clock speaks in several different languages and has large numbers and hands for easy to read lessons. There are three different clock styles as well as the ability to learn 12 or 24-hour time. You can track your progress and manually set the time with a tap of your finger. This app is available for iOS devices. 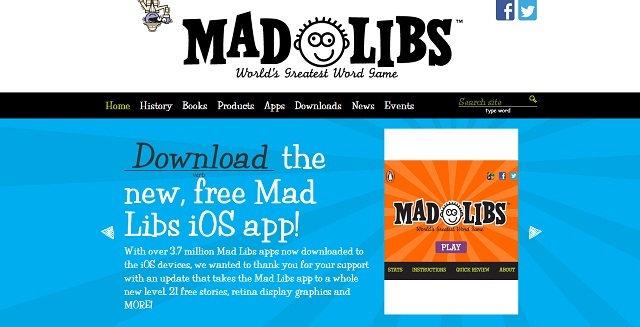 For kids who have trouble understanding the difference between a noun, verb, and adjective, the beloved Mad Libs game is now available in a lite and pro version for the iPhone and iPad. In addition to the standard word game, kids can share their stories through email and get hints for silly words to add to their story. 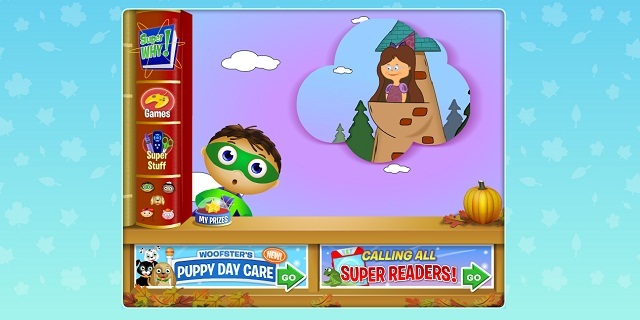 The Super Why App is based on a popular kid’s television show that makes literacy an adventure. The four characters, Alpha Pig, Princess Presto, Wonder Red, and Super Why each have a special super power. The app is designed for children ages three to six and includes word hunt games, tracing, rhyming, and sentence completion. This app is available for iPhone and iPad. 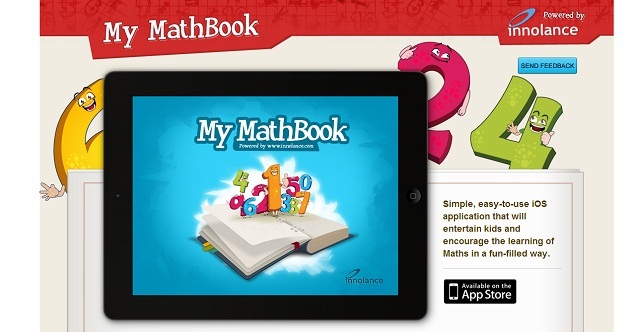 Cleverly designed in a visually appealing math book layout, My Mathbook HD is a highly organized and entertaining math app for kids. The book is divided into sections such as numbers, computation, shapes, and test. There are several games for each concept, including tracing, simple computation, and shape coloring. The beautiful graphics and layout make it an educational and pleasurable activity for children ages four to six. This app is currently only available on the iPad. 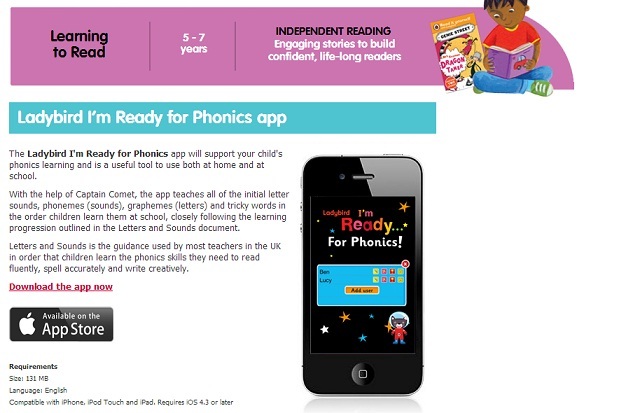 Kids who love space will enjoy the Ladybird Ready for Phonics app available for iOS devices. The games consists of 12 levels that progress through important phonics principles. Parents can also unlock the levels manually if they wish. The app has been tested in classrooms with great success. In addition to phonics lessons, the space themed app helps kids learn the “tricky” words that cannot be sounded out. The Android Shape Builder App is a fantastic educational game for children who love puzzles. Different scenes are displayed on the screen and children must use different shapes to fill in the image. With 144 puzzles, bright colors, and quality sound effects, children won’t even know they are learning geometry concepts while they put together the image on screen. Brain Challenge for iOS is a comprehensive app that develops math, logic, memory, and focus. There are over 40 separate mini-games that use creative thinking in puzzles, trivia, quizzes, and other mental mind exercises. It is currently $4.99 and suitable for older children and teenagers. You can monitor your progress with status charts that detail your success in the different areas. Word enthusiasts will love Chicktionary– a cross between Hangman, Scrabble, and Scramble. Kids hatch the hen’s eggs, which contain letters. The goal is to make as many words as possible. Shaking the device allows you to rearrange the letters for more help. The hens do all sorts of silly things and the game design is fun, colorful, and quirky. You can earn rewards along the way too. This app is available for iOS devices. Art teachers love using Color Splash for the iPad. This photo-editing app allows a user to alter paintings, images, and other artistic drawings to highlight areas of color and design. This way, students can focus in on a particular technique or concept without the use of a projector. Color Splash is one of the most affordable editing apps on the iPad for only $1.99. The app comes with robust sharing options for students to display on Facebook and other similar sites. An activity book designed for young children between ages three and five; Slurpy the Frog is a cute and funny animal that teaches kids concepts like shapes, relationships with size, and important facts about the world. It is a visually appealing app that contains 100 different activities that progress in difficulty. The app is available for the Windows Phone. 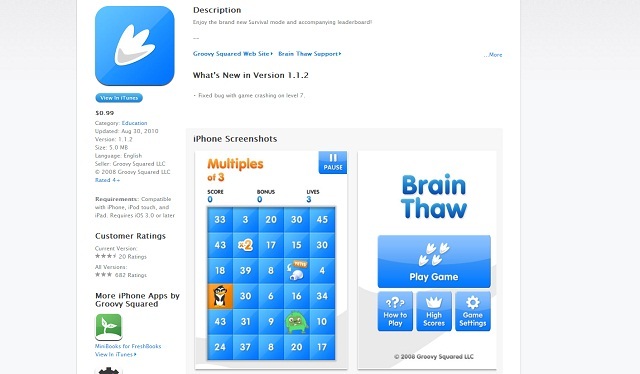 Puzzle addicts will love Brain Thaw, an app that teaches mental math concepts using different puzzles. The main character of the game is Newton the clever penguin. He loves to eat numbers according to the math rule given, but evil yetis will try to stop you. As you pass each level, the math rules change and increase in difficulty. It covers multiplication facts, fractions, division, addition, and subtraction. 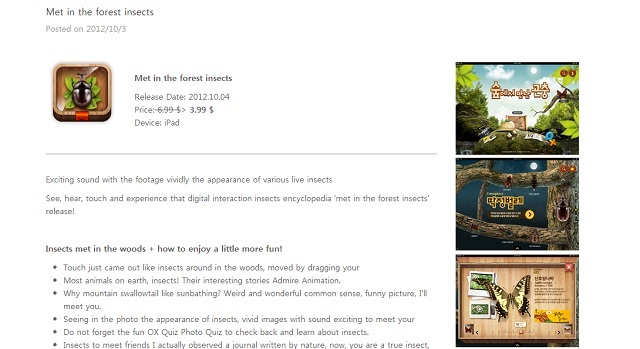 Meet the Insects: Forest Edition is a visually stunning app available for the iPad. Now bug lovers can meet the critters up close and personal with high definition images, facts, and trivia. Kids can go through the bug story, take a quiz about their favorite insect, and record observations in a digital journal. You can even watch the bugs in action with video clips. 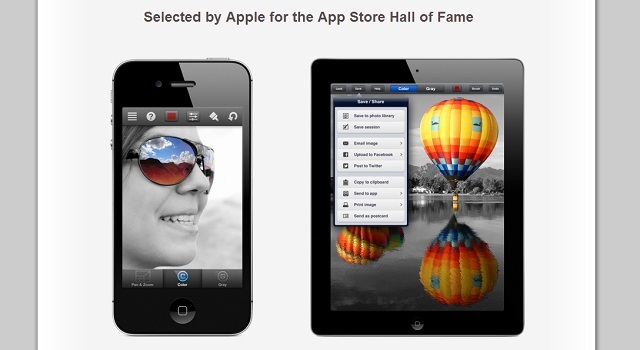 The app is currently $3.99 and won the Red Dot Design Award. 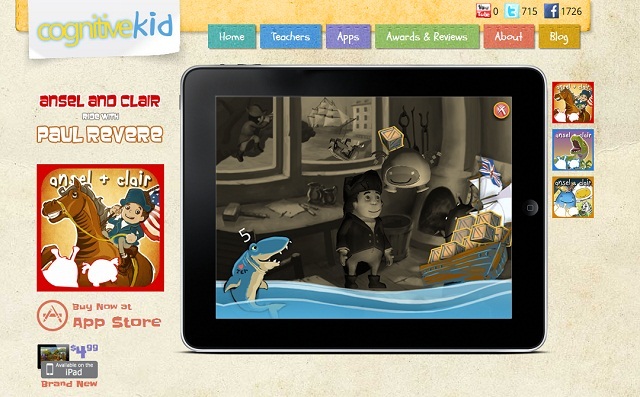 Ansel and Clair’s Ride with Paul Revere is an educational history app designed by Cognitive Kid for ages six to twelve. Both Ansel and Clair are childlike aliens who want to learn about history. The story begins in Boston and covers the major events of American History. At the end of each unit, there is a quiz and the opportunity to take a snapshot of the location for the child’s scrapbook. There is narration and photos of historical artifacts to go along with the story. It is available for iOS devices. Shake a Phrase is a fun language app designed for kids who enjoy creative writing. Children age eight and above will learn vocabulary and parts of speech by shaking their device and watching silly sentences pop up on the screen. When there is an unfamiliar word, just tap on it to get the definition. Creative writing prompts are also included. This app is available on iOS devices and covers over 2000 vocabulary words. 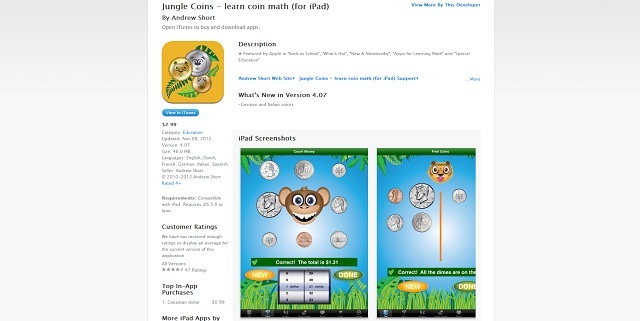 Jungle Coins is a money app for kids learning how to count coins and bills. The app is available for many different currencies including the Euro, the British Pound, American Dollar, Australian Dollar and more. The animals come to life while teaching children how to count change and substitute coins for bills and vise versa. Right now it is only available on the iPad for $2.99. Kids Genius All in 1 is an app that contains 18 games covering a range of educational concepts from math to language, music, animals and nature. Flashcards, trivia, tracing drills, and other activities are all included in one handy app so kids don’t have to exit out of the game to access another subject. The games are made for children four and up, and can be downloaded on any iOS device.